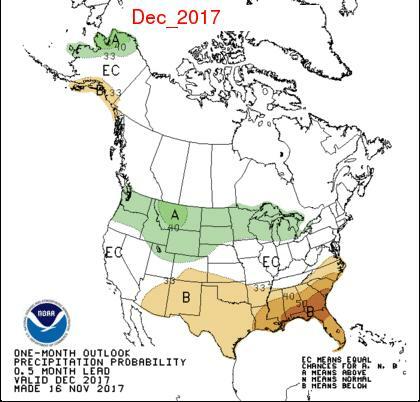 Comparison of last year's NOAA Climate Prediction Center (CPC) 30-day and 90-day precipitation and temperature forecasts for the winter period of December-February (DJF) 2017-2018 with the actual observed conditons. 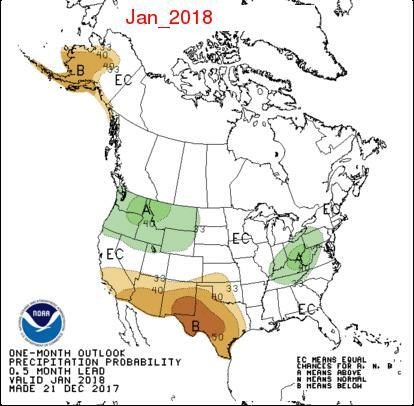 Winter Precipitation: The CPC Winter Precipitation Outlook DJF 2017-18 did better than in several of the recent winters, partly because the overall pattern ended up close to a "typical" La Niña. 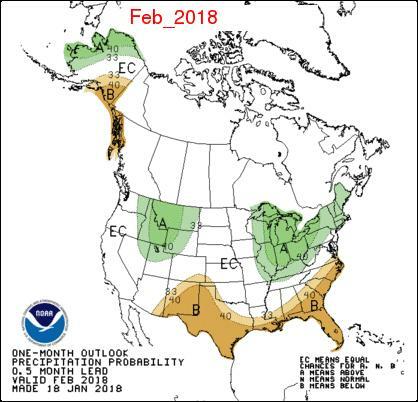 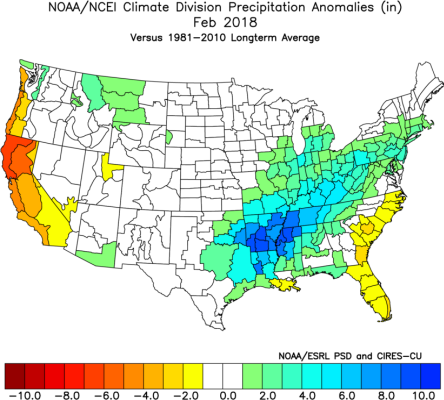 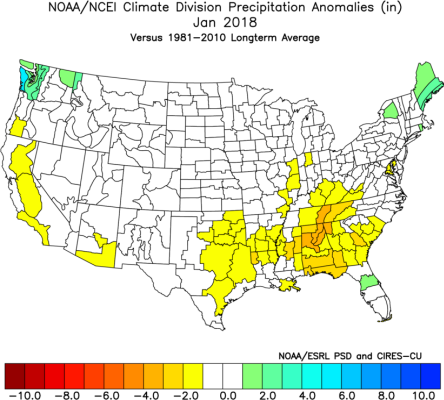 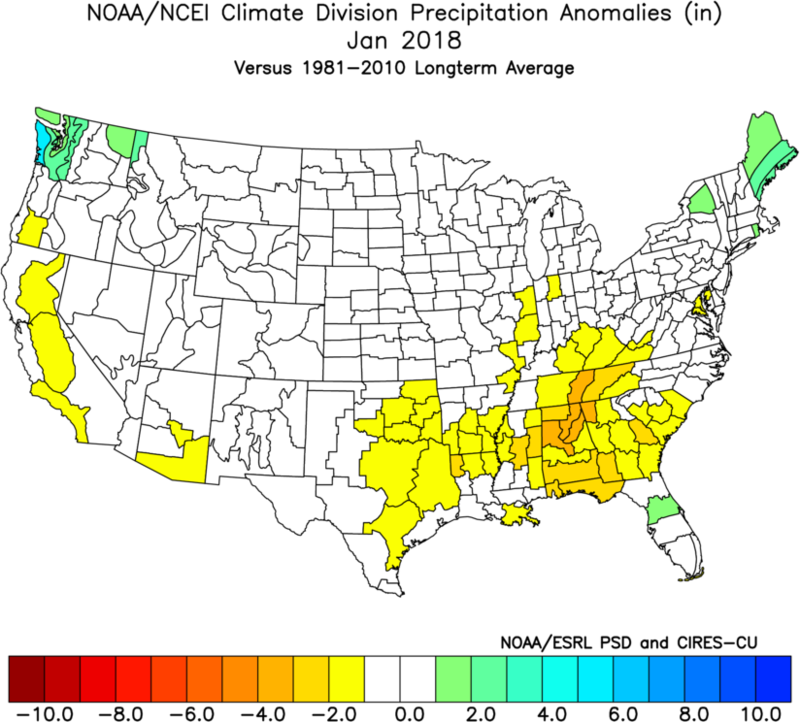 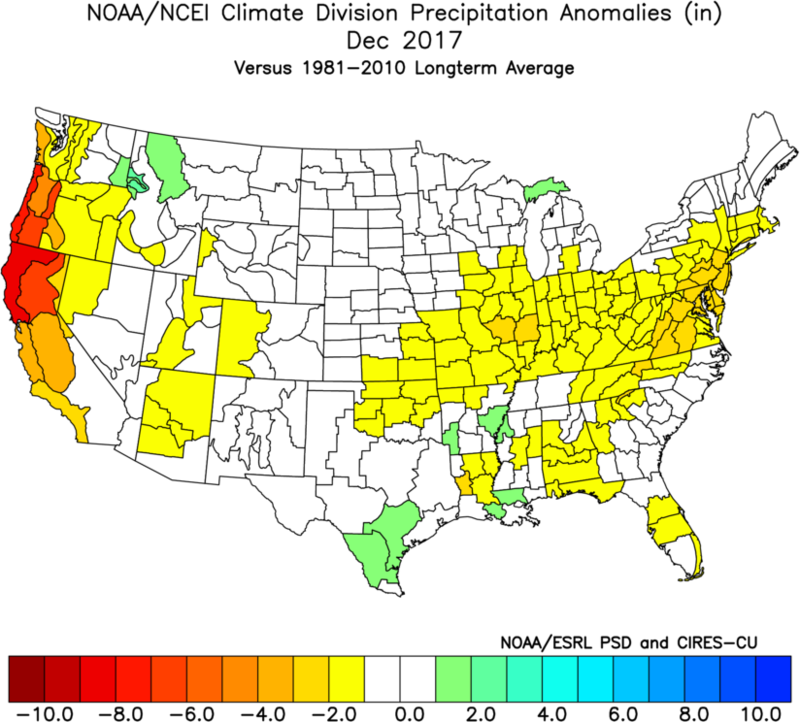 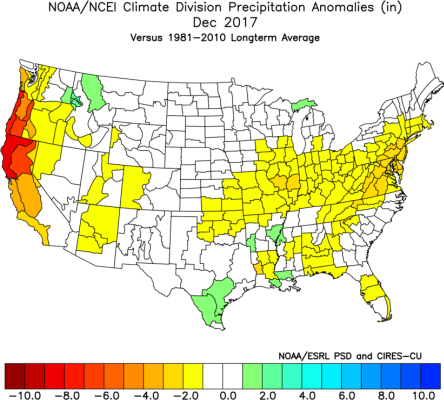 and the poorly in the West, missing the near-record precipitation across most of California and the very dry conditons in the Pacific Northwest, as well as the mostly above normal pattern across the Great Basin, Southwest and most of Texas. 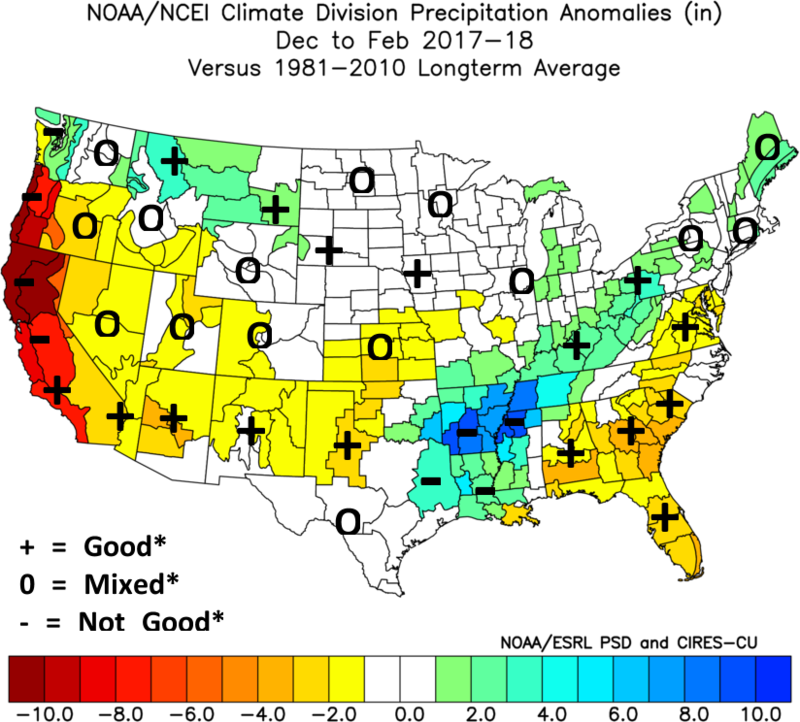 Conversely it was good across the north from the northern Rockies to the Great Lakes. Most of the southeastern quadrant of the country and the Northeast was a mixed bag. 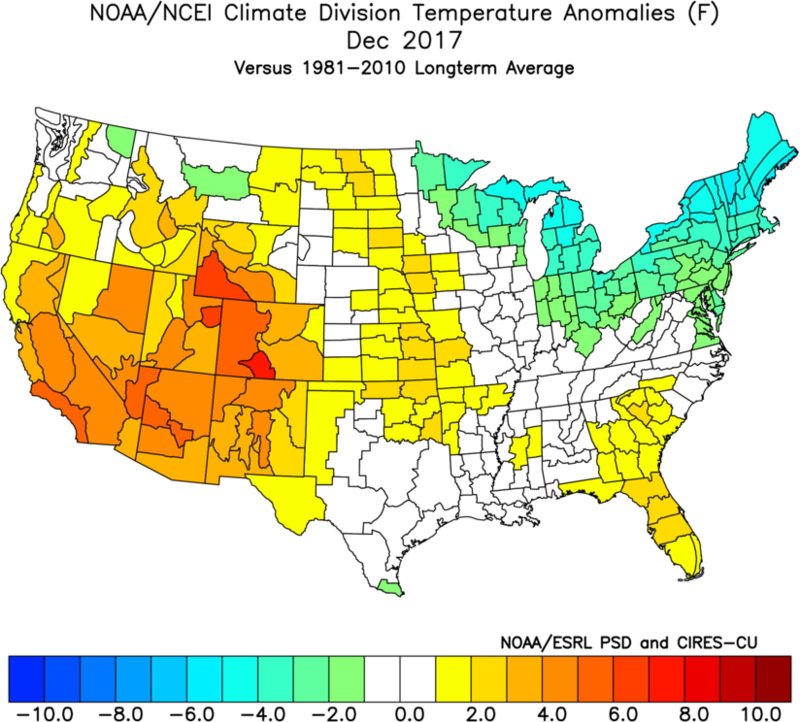 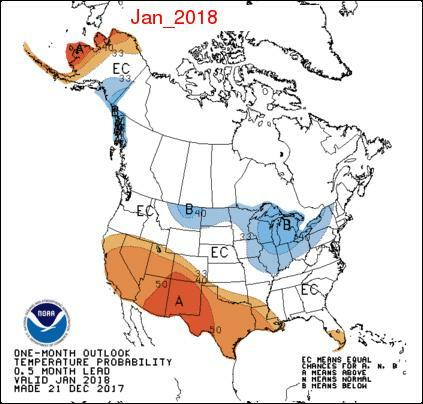 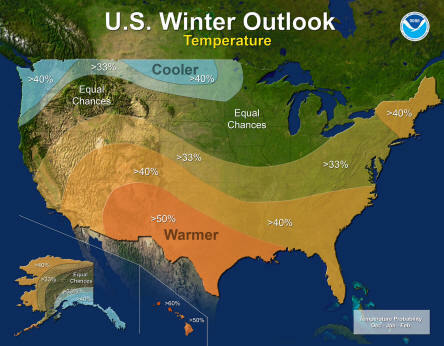 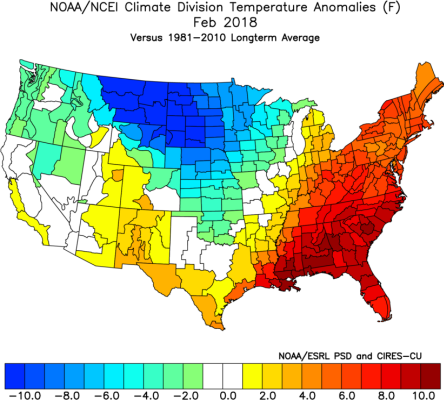 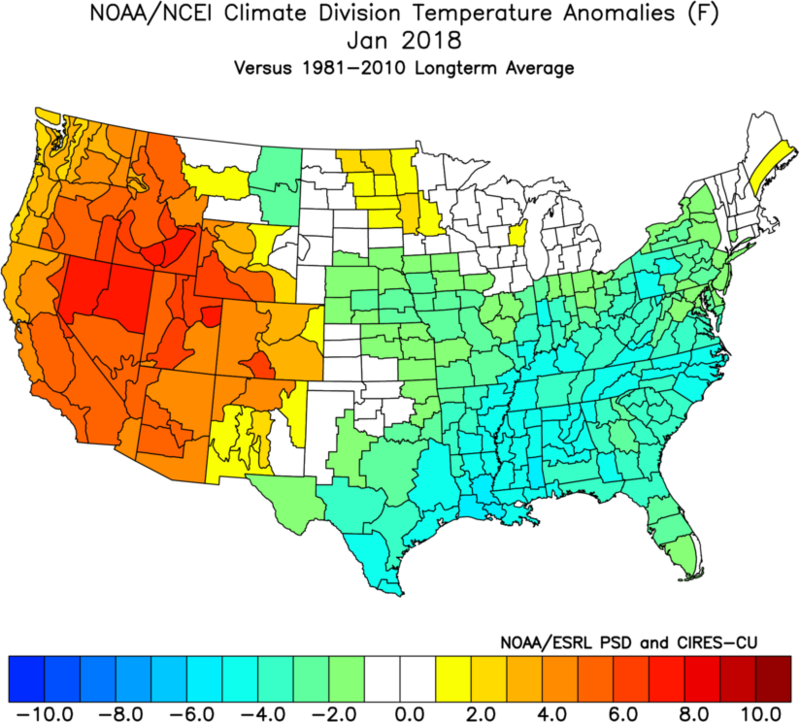 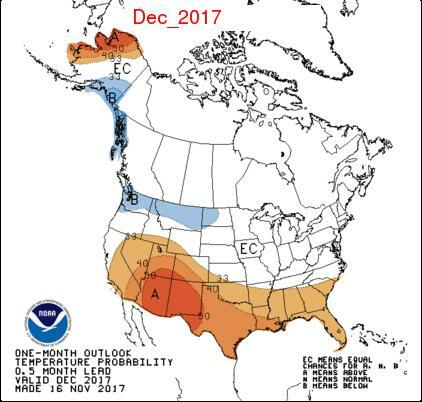 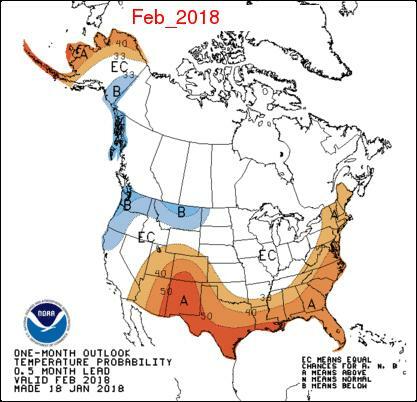 Winter Temperature: The CPC Winter Temperature Outlook was out of phase in the cool West and warm northeastern quadrant of the nation, while the very warm southern half was forecast well. 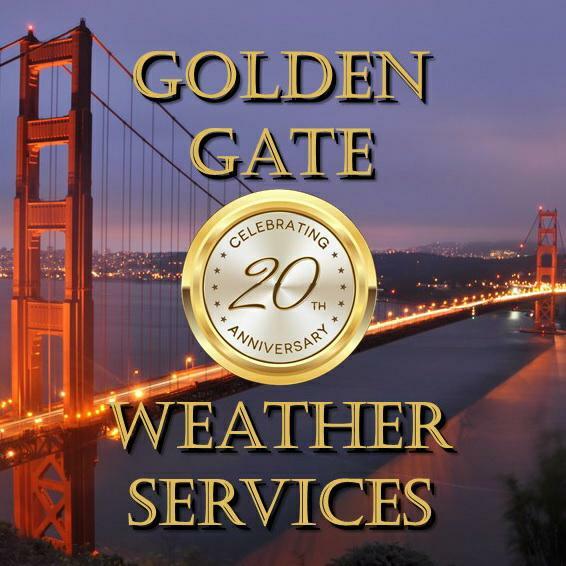 * "Good": Same category (i.e., dry forecast, precip < normal). 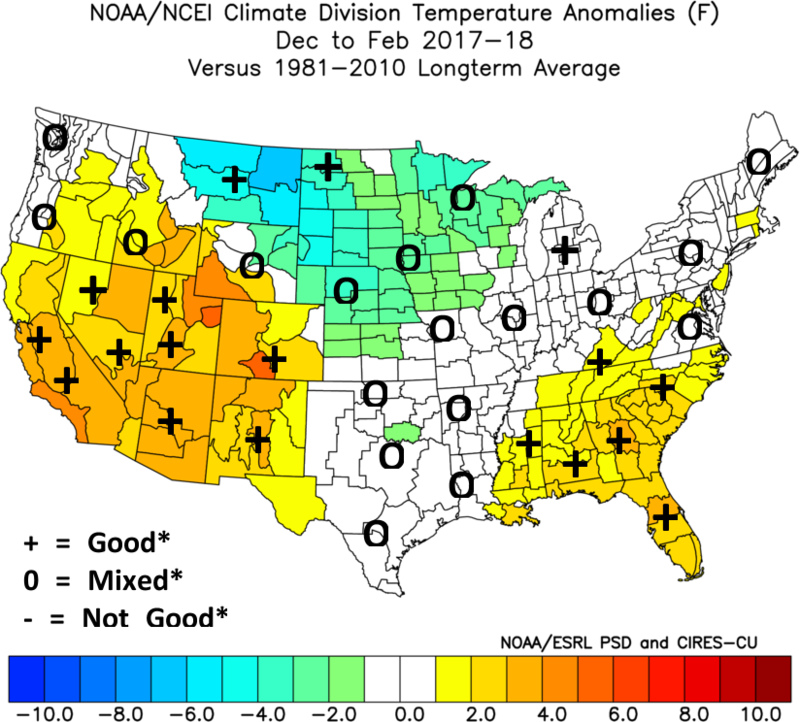 * "Not Good": Opposite category (i..e, cold forecast, temp > normal). 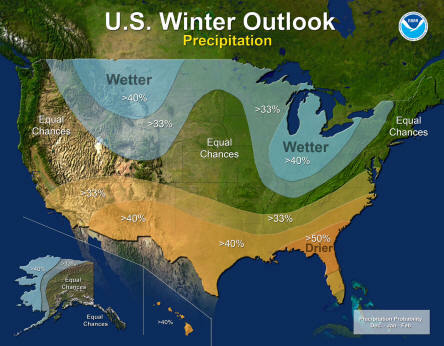 * "Mixed": One category off (i.e., wet forecast, normal observed).